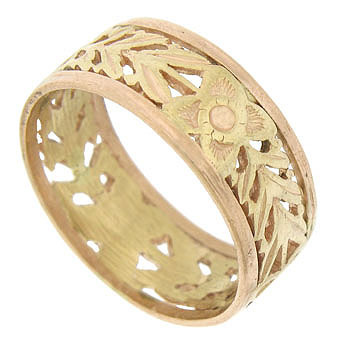 Bold floral cutwork of yellow and rose gold is pressed between polished rose gold bands on this magnificent 14K antique wedding ring. 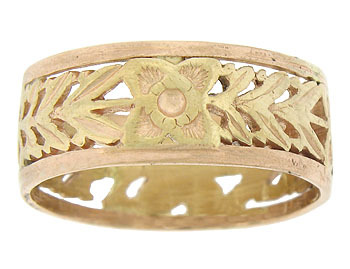 The Edwardian wedding band measures 8.54 mm in width. Circa: 1915. Size 9 1/2. We cannot re-size.